We are currently living in an era where animals are exploited in the most inhumane way. We see them as food, wear them on our skins and even use them to be our ‘guinea pigs’ for cosmetics. When it comes to skin care, we are all very particular about the brand we use. For example, sticking to a brand that works well on your skin and being hesitant to try another - sounds familiar? For me, I am always willing to invest in skin care, especially since suffering from acne. I have tried various drugstore brands to 'high-end' brands, and I found that what works best for my skin is one which contains the least ingredients, and also as natural as possible. All opinions are 100% true and I am definitely not being paid to say any of this. I have mentioned before tons of times that I would only work with brands I like/have a good cause and would never accept paid sponsorships if I don't like them. The first product you would have seen on my Instagram - the 'Beauty Warrior Face Mask'. Among all, this is my favourite product from Handmade Heroes. I love how it feels on my face and my skin is so soft after! There will be this tingling feeling on your face after applying it for a few minutes, before it starts to tighten slightly. When rinsing it off, it also acts as a gentle exfoliator. I find that 1 scoop is enough for my entire face :) Don't rinse it off when it dries completely because then, it will be rather tedious to remove. 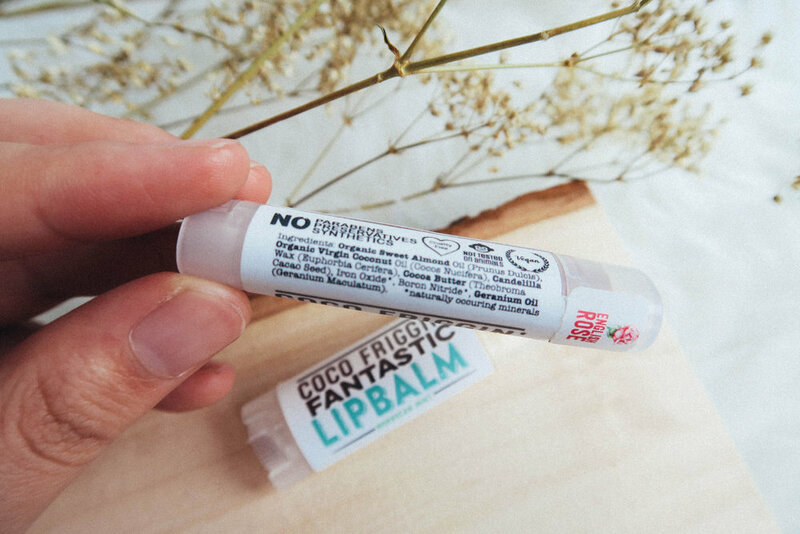 Coco-Friggin' Fantastic Lip Tint (French Rose) leaves your lips moisturized thanks to the coconut oil and cocoa butter in it. I am not a great big fan of red lips, so this is just right for me. It gives your lips a slight red tint, but it does not last long. I did not get that with this dry shampoo and I also like the smell of it :) I have quite oily hair, especially on second-day hair, but this helps control the oil and doesn't make my hair look greasy. ‘Beauty’ is a topic that I hardly touch on because I don’t feel like I’m a professional in this aspect. However, I have been getting a few questions on the brands of beauty products that I use or would recommend to girls out there, so I thought I’d share everything in this post. Since being vegan, it may feel as though it’s difficult to find vegan or animal cruelty free products, but I am telling you now that this isn’t true. Just research carefully on the brands and companies if they do animal testing or watch out for labels on the products. Usually, you are able to get one whole list online on the brands that test on animals. I have been using Nature’s Gate shampoo and conditioner because they only contain natural ingredients and no harsh chemicals. Since suffering from acne-prone skin, I find that using shampoo and conditioners that do not contain sulfates or parabens helps in controlling acne. Many are not aware of this but, while rinsing off shampoo or conditioner, it may tend to get on your face too. Hence, if the product contains any harsh chemicals, it might also cause you to break out. A little tip would be to always wash your face in the shower after washing your hair, to ensure that all this chemicals from your shampoos do not remain on your face after you shower. I find that this method really helps in controlling my acne. But be sure not to use hot/warm water on your face! This may worsen your acne condition. Your skin takes at least 3 months to allow a product to show results on your face and it also takes at least 1 month for new cells on your skin to grow. If the products used on your face are constantly changing, this may cause stress to your skin because of the different ingredients used in the products that your face needs to absorb. Stress on the skin can also lead to breakouts. I have been using ‘AZ clear action’ since my first visit to my dermatologist back when I was only 11. For a few years, this was the only product that I’ve stuck with. Then when my breakouts got worse, I felt like I needed a stronger cleanser and went to buy products that contain tea tree oil. For a good few months, it was okay. Then my skin broke out worst. Since then, I’ve been changing up products frequently, trying to find one that could minimize acne growth on my skin. 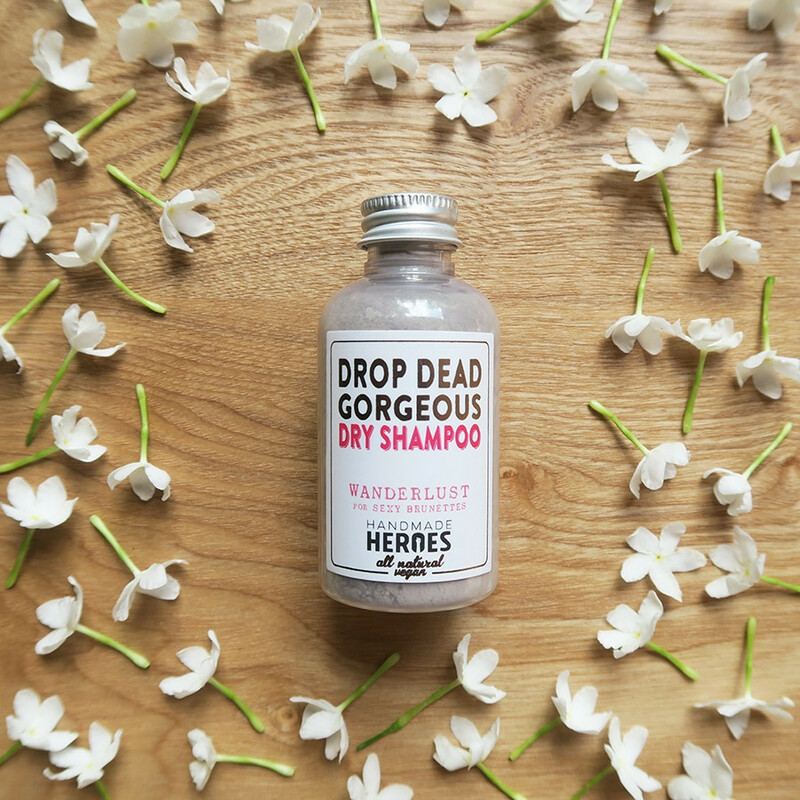 But I always find myself gravitating back towards this face wash by ‘Ego’. It does not break me out at all and I find that it’s a very simple gentle cleanser. You can easily find this product in unity. I haven’t seen them in Watsons/Guardian around the East side of Singapore – unfortunately. Everyone loves a good pamper session – who doesn’t? I personally do scrubs at least once a week to get rid of the dead skin cells on my body. For a good amount of time, I have been using body scrubs from ‘The Body Shop’. And recently, I chanced upon ‘Handmade Heroes’ on Zalora. 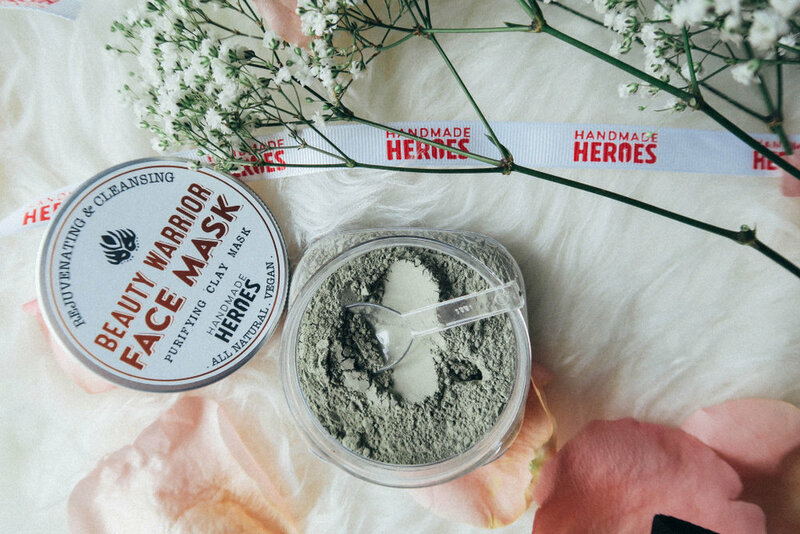 ‘Handmade Heroes’ - All natural, free of preservative and parabens, completely vegan and cruelty free. And I was even surprised that they are a company based in Singapore. I hope this was helpful to those who are in search of animal cruelty-free products! Remember to apply sun-screen too ladies!! P.s: I haven’t found a good sun-screen brand that would not break me out, so once I’ve found one, I’d share it with you all. Avoid using cleansers with beads that will dry out your skin. Dry skin = more breakouts. Use a gentle cleanser and wash twice daily, once in the morning and night. One of my favourite brands is First Aid Beauty. Their products contain no parabens, harsh chemicals or colorants. It is also safe for sensitive skin. If you wear makeup, always remember to wash your makeup brushes as there could be bacteria and dirt on the bristles of your brush. Foundation brushes (especially cream based foundations) should be washed everyday. Powder brushes should be washed every 2 weeks. Makeup sponges can also trap dirt, so do wash them at least once a week. You may feel tired and extremely lazy to remove your makeup after a long hectic day, but never never go to bed with your full face makeup on! Always remove your makeup thoroughly before bed so that your pores would not get clogged and your skin is able to breathe throughout the night. Don't forget to drink 1 to 2 Litres of water everyday! ;) Hope this helps! From the title above you will already know what product i will be talking about today and yes, it is the Shu Uemura Skin Purifier Cleansing Oil. This is not my first time blogging about this gem. You can read my previous post here Since my last post in April, i am still diligently using this cleansing oil every night. On days that i am wearing make up, i will use 4 pumps and if i am not wearing make up, i will use 3 pumps after cleansing my face with my facial cleanser. If i go one or two days without using this, i can feel my skin just crying for it. As you can see i have since emptied 2 small bottles since February and I recently bought a new bottle from Best Buy World at 15% off the retail price. Best Buy World is a local online store selling different luxury brands at a discount price. Hence you would be able to save much more as compared to buying from a physical retail store. Fyi, the cleansing oil is sold at $115 Retail price, and at best buy world, it is only $98. I would not be able to stop talking about this product because i simply love it so much. My acne scars are slowly fading away and i know it takes time for it completely clear out, but other than depending on this cleansing oil, it is also important to start living a healthy and active lifestyle and to start eating healthily by consuming more fruits and vegetables. The Shu Uemura Skin Purifier Cleansing Oil also works when dealing with pustules. Pustules are the classic zits that everyone gets. Instead of popping it, use this cleansing oil to wash your face before you sleep and when you wake up the next day, it's gone. With consistent wash, the scar will also fade within 2-3 days. Removing make up has also been a breeze. All you need is 4 pumps and when you wash off, you get a cleansed face. You can already feel your skin breathing and it's just a very nice feeling. Girls, you know that feeling you get when you immediately rush to the toilet once you're home and remove your make up and your skin no longer feels greasy/cakey. Yes, that's the feeling. The packaging also has clear instructions on how to use this cleansing oil. All you need to do is pump out the oil, massage it into your face. Then come in with a little bit of water and massage it again till it gets milky. Wash off after that. Did i mention, this pump has a lock function when you twist to the left? It really helps in preventing spillage. Thumbs up for products which have this feature in their packaging. Love love love it! I am really glad that i have pass the most difficult phrase of my life even though i still get nasty remarks about my skin condition, i am not 100% affected by it like how i used to feel. If you are also a 'victim' of acne, you can always leave a comment / email and i would be glad to share with you my experience and tips. I hope this helps those who are keen on trying this product/looking for a good cleansing oil. No matter what, the only thing that i am willing to invest in would always be skincare. Skincare above everything. As you all know, I suffered from a very, very bad breakout last September and i am still on the road to recovery. There was this period where I was so desperate to find solutions to cure those acne scarring and I came across this beauty guru on Youtube who has the same skin condition as I do. I watched her home DIY videos and in this video you can see her skin condition and it's somewhat similar to mine. Her recent videos however, showed a major improvement in her skin condition and it's because of this that i never stopped finding a cure for my skin. I also can relate to a well known local beauty blogger -bunbunmakeuptips (http://bunbunmakeuptips.com/) who also suffered from a severe acne breakout after a facial that went downhill. Similar to ruby (the beauty guru), her skin condition has improved a lot. It was not an easy time for me definitely. I suffered a lot. I break down every night because I felt so alone and ashamed and i would constantly question myself what I did to suffer from this. My skin wasn't perfect before this, I had a few blemishes here and there, but it wasn't so severe where i will have huge big red spots and scarring all over my face (on my cheeks especially). I will take pictures of my skin almost every other day to track my progress and i still keep the photos on my Mac. Whenever i view them, i'll have goosebumps all over. My skin was HORRIBLE. I had breakouts everywhere. Active ones - big and small. Maybe when I've fully recovered from it, I'll post it up, but I'm pretty sure everyone will be grossed out. I was definitely lucky to have a few friends by my side who told me not to give up hope and that I'll definitely recover from this. I'm grateful that they don't feel turned off when they talk to me. Can you imagine speaking to someone which such a bad breakout all over her face? And you have to keep a straight face while talking... Whenever people talk to me, I feel like wearing a paper bag/mask so that they can't see my breakouts and my skin. It has been more than half a year (7 months now) since it all happened. My skin is making slow progress and i'm really satisfied. I feel that part of the credits would have to go to this clarifying oil from Shu Uemura. Many girls out there raved about this online. So, i went to the Shu Uemura counter at Robinsons orchard 2 months back, and the lovely sales assistant recommended me this. This gem right there helped my scarring to fade a lot. I also stopped having active breakouts frequently. I was super happy when i started to see results in 2 weeks. My skin started glowing and it didn't look so dull anymore. My acne wasn't as big as it was before and it was then that I realised that I've this beauty to thank. Now that i'm on medication and cream, my skin has become super sensitive, especially in the sun, but this clarifying oil did not give me any problems. So thank god for that. Now I've to be really careful when putting on products on my face due to how sensitive my skin is now. I went back to the Shu Uemura counter 2 weeks ago to purchase another bottle because the one I bought earlier is empty. I wanted to purchase the bigger bottle, but my bank account is crying so I can't... Or else I would have saved a lot.